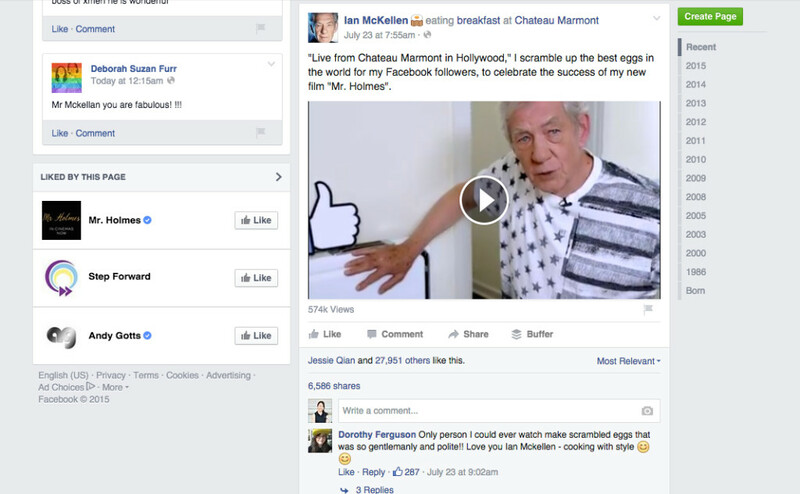 On June 23, Sir Ian McKellen decided to celebrate the success of his latest film, Mr. Holmes, by posting a video of himself making what he claims are “the best scrambled eggs.” The veritable actor posted that he was “making breakfast” at Chateau Marmont. Sir McKellen explained that this recipe was, “like most,” passed down through the family. This one came from his stepmother Gladys. From there, McKellen adds a pat of butter—of which he doesn’t know the weight—as well as some pepper and salt. Only after all the ingredients have been added does the pot go on the heated stove. The video follows Sir McKellen as he continuously stirs the mixture, to ensure that none of it will separate. Just before the eggs are completely done, McKellen takes them off the burner to tend to his toast. Before buttering his toast, he takes time to very carefully explain why you should always try to let it cool on a rack and should never wrap your toast in foil. “The water vapor will stay inside and the toast will become limp,” he states in a very matter of fact manner. At this point, the eggs have just about finished cooking and, according to McKellen, are starting to “curd.” Once he deems it’s done just to his liking—somewhere between being more liquid and more dry—he doles out one portion onto one slice of toast, and lets the other half of the eggs cool before serving it on the other slice. 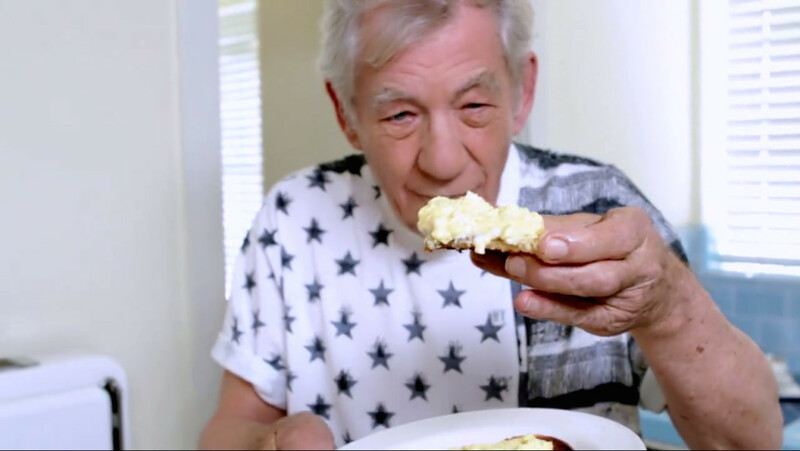 The video ends with a shot of the dignified, but now ever-so-content, Sir McKellen truly enjoying the best scrambled eggs on toast. Bet you can guess what we’re making for second breakfast. If you haven’t seen the proper video yet, you can find it here, and come back and thank us when you’re done.